Hello Lovelies! 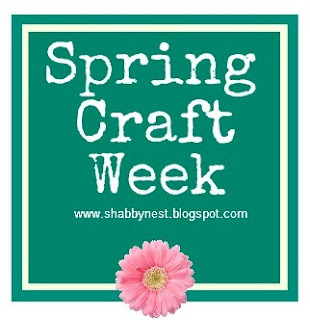 Welcome to Day 3 of Spring Craft Week at The Shabby Nest! My front door was in dire need of a spring spruce-up and somehow moss seemed like an appropriate medium for spring door decor. 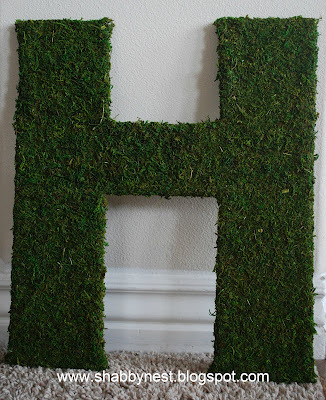 So I decided to create a Moss Monogram. 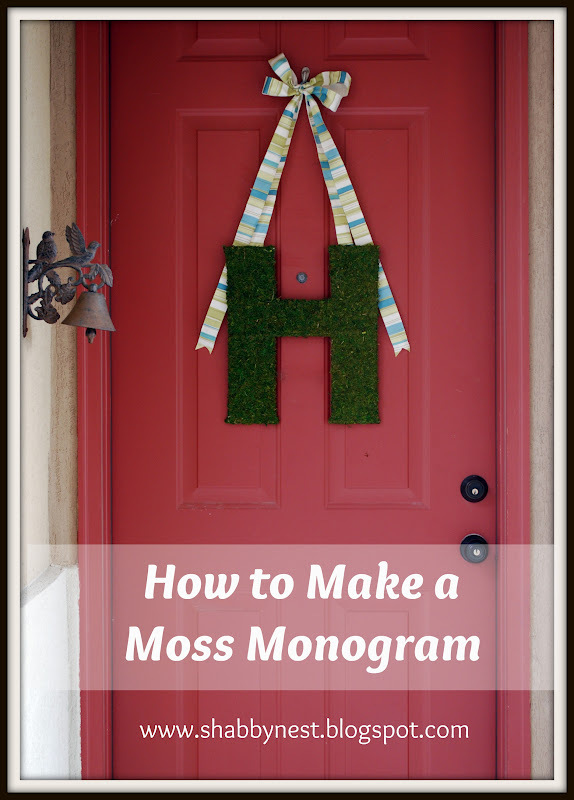 And today I wanted to share a tutorial on just how I made that Moss Monogram. (And since I believe in giving credit where credit is due, I was inspired by this tutorial on Dear Lillie that Jennifer shared last year). 1. 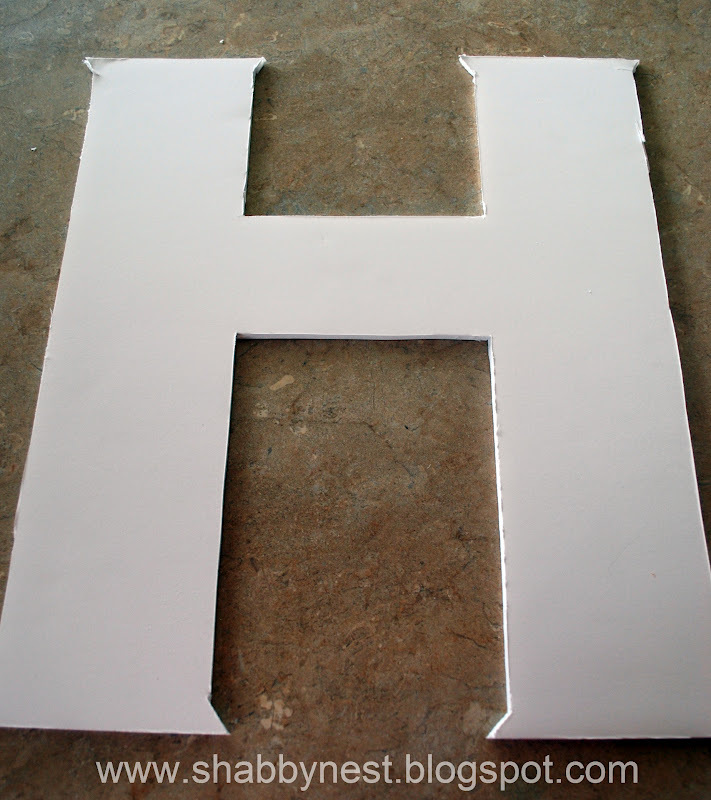 Cut a letter out of your foam core using an Xacto knife. 2. 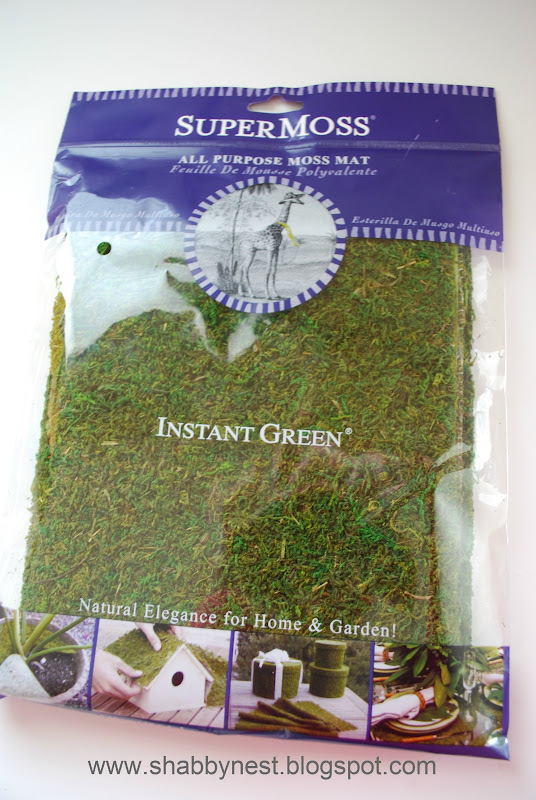 Take your package of sheet moss and open it up. :-) This particular sheet moss is 16" x 18", so I based the dimensions of my letter on that, leaving 2" all the way around to make sure the moss would wrap around to the back of the letter. 3. 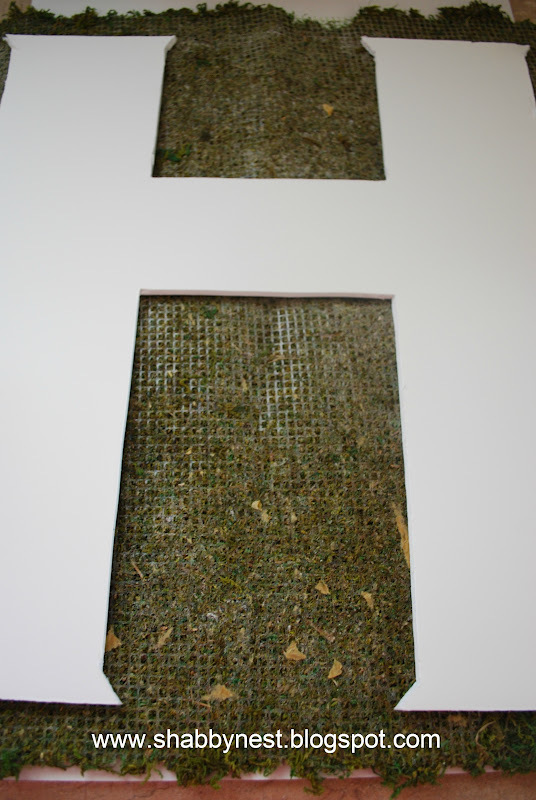 Remove the protective backing from the sheet moss (if yours has a protective paper backing) and lay the letter on top of the wrong side of the moss. Then trim around the letter making sure to leave enough moss to wrap around to the back of the letter. 4. Using hot glue, attach the moss to the front of the letter. 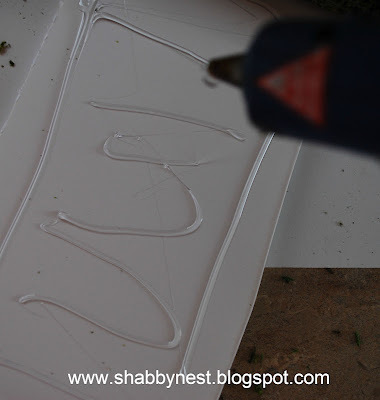 Then wrap the edges around and glue them to the back of the letter. Here's the finished monogram. Cute, huh?? But I wanted to use it for the door, remember? So I added some pretty ribbon. I simply hot glued the ends of the ribbon to the back of the monogram. Then after creating a bow to hang it on the door, I tacked the ends of the ribbon behind the letter with a dot of hot glue. Now my door is dressed for spring! Linking to the Spring Door Decor party at Southern Hospitality! Very Spring!! Also cute cute! Thanks for the tutorial! 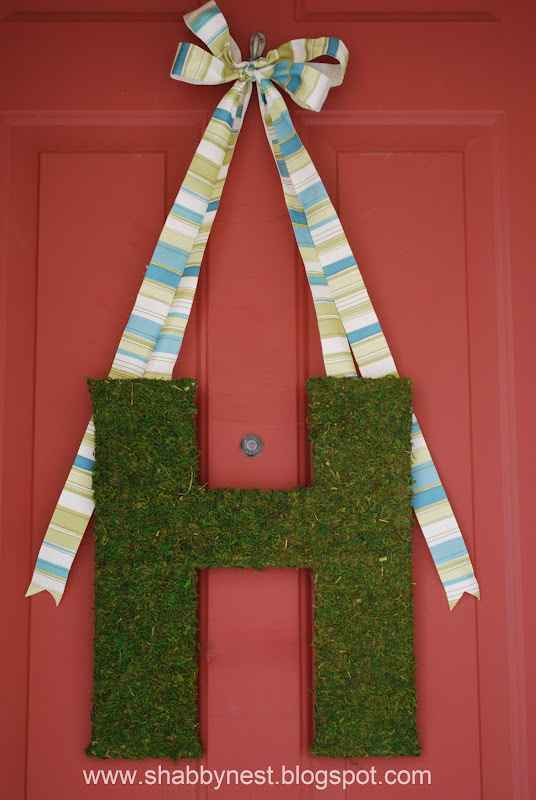 What a great way to add a touch of spring to your entry. I might have to create a version for an upcoming birthday party. Thanks for the inspiration! So pretty! I actually used a moss monogram on my spring mantel this year. The ribbon you chose is so pretty! Thanks for sharing. Love it Wendy! 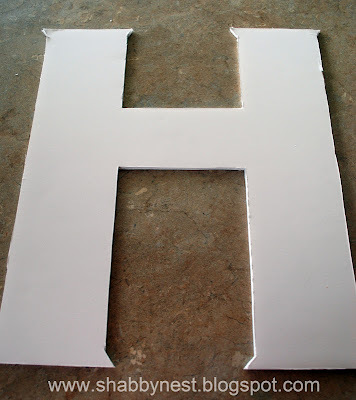 And I love that we both needed H's. =) I was glad. I have been helping a freind with her wedding and we made an L and a Q last week. The L was easy - the Q not so much! Haha!